The fiscal year 2016 has been rather promising for Viacom 18’s kids’ channels. Nickelodeon has maintained its stance as the apex kids channel in the country since 2014 and joining it are other subsidiaries namely Sonic, Nick Jr and Nick HD+. The channel receives 65 per cent of its viewership from urban areas and the remaining from the rural areas. Nickelodeon, Sonic and Nick Jr contributed to 31 per cent of the network share. With the demand for homegrown IPs on the rise, Viacom 18 is all set to bring in India’s first ever animated investigative series for kids – Gattu Battu. Nickelodeon’s fourth made-in-India animated series Gattu Battu, is a high decibel detective action comedy series slated to release on 1 May, 2017. The show has been produced by Toonz Animation. Gattu Battu is a story of two best friends who own an investigative and security agency in a small town called Vishrampur. 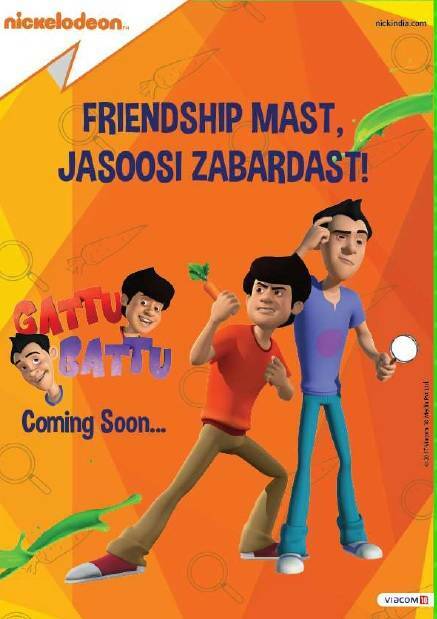 While Battu is the sixth sense behind every case to be solved, his friend Gattu is the courageous and righteous one. Their hilarious and brilliant cover-ups is what forms the heart and soul of this show. Gattu and Battu are joined in their fun escapades by Ting Tong, their goofy and adorable sidekick with a flair for martial arts. They, together along with Dr. Bhatawadekar and his gadgets come together to fight the notoriously funny villain Sher Singh. The unique investigative home-grown animated show from the house of Nickelodeon is an ultimate blend of action and comedy and is sure to provide a fun filled entertainment experience for kids. The expansive marketing campaign will have promotions with an extensive cross channel plan, large scale on-ground ambient engagement and interesting on-line interactivity. There will also be on-ground initiatives like retail and mall partnerships (Phoenix, Ambience, Viviana etc), multi city promotions etc. The channel has associated with Mc Donald’s to air the show promos across 300 screens. Gattu Battu themed games, van activations in Tier 2 cities and meet-and-greets at various gaming zones such as Fun City will introduce the duo as well as allow kids to engage with the characters. The franchise revenue has increased by 20 per cent year-on-year. Sonic’s yield increased by 40 per cent year-on-year, while Nickelodeon’s yield has spiked up by 25 per cent year-on-year. Jaipuria said that they will be launching around 15 games this summer, including ones for their newest IP. 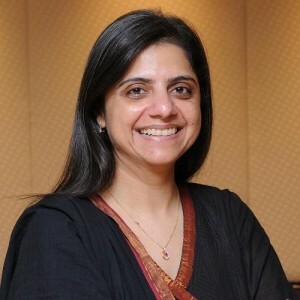 Apart from Gattu Battu which will run seven days a week, the company will also be bringing new episodes of Ninja Hattori, for which they have collaborated with the Japanese makers, while Motu Patlu will witness new episodes this summer as well apart from its first time ever movie premiere on television. A new Motu Patlu movie is also in production titled Motu Patlu in Dragon World and we will see its release sometime in June this year. Motu Patlu is the number one show on VOOT, the company’s OTT platform. Sonic’s three of the most renowned properties, Shiva, Oggy and the Cockroaches and Pakdam Pakdai will also be coming around with new episodes this summer. The company is also doing pretty well in the licensing and merchandising front as its merchandising revenues went up by 40 per cent as it has its presence in 46 categories. However, as Jaipuria stated, the company took a hit of around 15 to 20 per cent owing to demonetisation, which resulted them in losing their surplus. Another property of the franchise, Nickelodeon Kids’ Choice Awards, was received quite well and the company has plans to make it bigger for the next edition.